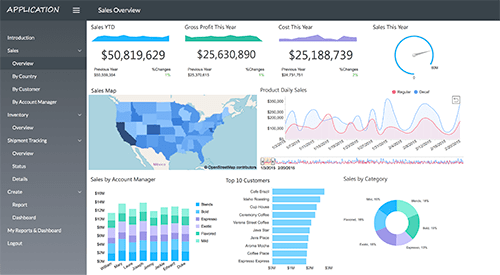 Never underestimate the value of embedded analytics, including reporting and dashboards. From gaining critical insights through scalable, enterprise reporting and visualizations, increasing profit margins, monetizing data or delivering answers when and where your customers need it, embedded analytics delivers. Countless customers purchase vendor apps simply for the analytics. Every vendor and industry is awakening to the incredible power of analytics for optimizing outcomes and securing a competitive advantage. To get ahead of your rivals in the digital era, explore embedding intelligence into the foundation of your cloud offerings and applications. In this session, we will discuss digital era application development trends, why integrating analytics has become a critical success factor and highlight several case studies. We will also review essential embedded analytics selection criteria.